It is safe to assume that the Indian Mujahideen, which prides itself on being a terrorist organization, killed innocents in Gujarat, uses a logo displaying guns on either side of the Holy Book, sends threatening email signed by a split personality (both "Al Arbi" and "Al Hindi"), would like to be judged by Quranic law. I presume they would not suggest the application of Sharia to non-Muslims. We Indians are unique in many ways: include among them the depressing fact that we have had terrorists from four major faiths - Muslims in Kashmir, Christians in Nagaland, Sikhs in Punjab and Hindus in <?xml:namespace prefix = st1 ns = "urn:schemas-microsoft-com:office:smarttags" />Assam’s ULFA. Terror has been a constant weapon of Maoists and Naxalites, none of them waving a green banner. It is instructive to note how the two most Islamic states, Saudi Arabia and Iran, one Sunni and the other Shia, punish Muslim terrorists. Saudi toughness is now exemplary to those who believe in tough methods. On Tuesday, August 5, Iran executed Yaghoob Mirnehad in the city of Zahedan because he was found guilty of involvement in Jundallah, an armed group operating along the Iran-Pakistan border along Baluchistan. Afzal Guru would not stand much of a chance in either Saudi Arabia or Iran. When a fasadi calls himself a jihadi, it is an attempt to gain legitimacy among Muslims. The intermittent use of Quranic verses by the Indian Mujahideen is designed to reinforce the impression of Quranic sanction. Even a cursory examination shows how this terrorist group has snatched text out of context. Take the deliberately provocative quotation in one of their emails: "We are guiltless of you and whatever you worship besides Allah: we have rejected you and there has arisen between us and you enmity and hatred forever - unless you believe in Allah and Him alone." The idea clearly is to establish a Quranic sanction for hatred and enmity between Hindus and Muslims. You don’t have to be Sherlock Holmes to reach this conclusion. They have arbitrarily plucked out lines from a much longer verse about the great patriarch Abraham, who left home after his father began to worship many gods instead of the One Allah. But the "hatred" is for apostasy, not the person. Where the Indian Mujahideen have put a full stop, there is only a colon in the original. Abraham also says that he will pray for his father. He does not threaten to murder his father in the name of Allah, which the Indian Mujahideen seem to believe is their wanton right. The Quran insists that that while there are differences among faiths, it is up to Allah, and not man, to be the judge. For man, there is a clear principle (Surah 2:256): "La iqra fi al deen (Let there be no compulsion in religion)." (This instruction, incidentally, comes just after Ayat ul Kursi, a magnificent evocation to the power of Allah and his protection of man.) A second principle is equally unambiguous: "Lakum deen-e kum wal ya deen (Your religion for you and my religion for me)." It was not an accident that Ottoman Sultans gave shelter to Spanish Jews after they were driven out by the Catholic Inquisition. Every jihad is a war fought by a Muslim, but every war fought by a Muslim is not a jihad. Yusuf Ali explains in his note on Surah 9:20: "It may require fighting in Allah’s cause, as a form of self-sacrifice. But its (jihad’s) essence consists in a true and sincere Faith, which so fixes its gaze on Allah, that all selfish or worldly motives seem paltry and fade away...Mere brutal fighting is opposed to the whole spirit of jihad, while the sincere scholar’s pen or preacher’s voice or wealthy man’s contributions may be the most valuable forms of jihad." The Jihad-e-Akbar, or the greater jihad is a struggle to cleanse oneself; war is only the Jihad-e-Asghar, or the lesser jihad. a jihadi could not betray a trust, misappropriate booty, mutilate a body, kill the old, women or children; he could not even destroy trees or slaughter an animal except for food. Terrorism has no place in jihad. There is one justification, in Islamic law, for jihad: when a nation becomes a Dar ul Harb (House of War) rather than a Dar ul Islam (House of Islam). Can India be declared a Dar ul Harb? A Big 19th Century Question has seeped into the 21st. The collapse of the Mughals from around 1720 witnessed the rise of regional powers, and substantial Muslim populations began living under the rule of Marathas and Rajputs. In 1803, the British broke through Maratha resistance and reached Delhi, where the wobbly Mughals became a protected species. That year, Shah Abdul Aziz, heir of Shah Waliullah and the most respected theologian of his time, declared India a Dar ul Harb because British law would prevail over the law of Islam. This inspired a jihad by his disciples (principally Ahmad Saeed Barelvi and his successors) that lasted till the last quarter of the century; 1857 was only one episode in a long war. The interesting point is that there had never been a similar fatwa against any Hindu ruler of India, and the Barelvis sought and received help from the Marathas. Muslims never considered living under Hindu rulers a cause for jihad because Hindu rulers respected their right to practise their faith as they wished. As late as in 1871, Sir William Hunter, the famous ICS officer, was attempting to answer the question, "Are the Indian Mussalmans bound by their Religion to rebel against the Queen?" He recorded the considered views of a number of alim. The answer, in essence, was that if a Muslim was permitted to live by his own law, the Raj could be considered a House of Islam. Muslim personal law was incorporated into the Raj code. Free India, through Constitutional statute and practice, permits Indian Muslims full rights to the exercise of their faith. You may not be able to hear the amplified azaan in London or Washington, but you can in Delhi. Aberrations like riots do not change this fundamental reality. If that were so, Pakistani Shias would be entitled to declare a jihad against Pakistan since they have repeatedly suffered from communal violence. Justice and equality are the heart and soul of the Quran, and the Holy Book knows what justice would do to a fasadi. M J Akbar is a veteran Indian journalist and author of several books on Islamic history, currently Chairman, Covert Publications. Shahid Lateef saheb Assalamualaikum:- I simply questioned those people who are up against Dr. Zakir with the sword of Fatwa of His Being A Kafir.......but these fatwa issuing bunches dont say even a single word against Sultan Shahin who urges that parts of the Quran be declared obsolete and get rid of it. Latif saheb our liking or disliking is not Islam.........simply our likings or dislikings cant be the part of the Quran. we are bound to it. YE BANDAH TO ALLAM SE KHAFA MEREY LIYE HAI. 1. As a frequent visitor, Shabir Ahmed ,of this website quoted:- He is working for Islam in his own way. These mullahas cant even teach the teachings of Islam in English so they misinterpret Mr. Zakir Naik. 2. You know when the Quran was first translated in Persian by Shah Waliullah sahib, a great mullah community became his enemy. Even planning was done to kill him, people were hired from Punjab to do the job. Several mullahs of the time gathered around his house and asked:- HAVE YOU TRANSLATED THE QURAN? He said :- yes. Why you did this who will listen to us now?………this came as reply to Shah sahib’s YES. So this community was in past (and in present wants) wanted to use the Quran for its personal agenda and establish its supremacy as Brahmins do. Here I don’t question all the Ullema-i-islam. Some have done (some still doing) really a commendable job by circulating the teachings of ISLAM to all level and with right, correct interpretations with genuine spirit lead by personal examples. 3. What some so-called champions of Islam do………….issuing fatwas after fatwas against each other. If Dr. Zakir is not a true servant of ISLAM then we must check His opponents credit-worthiness and you will find hardly any good example. supporting or rejecting Urs, Peeri-mureedi, Sufism, peeri-faqiri, qawwali, karishmat-i-auliya……..these are the areas where they channelize their energy. Had they been true servants of ISLAM, there would have been an Educational INQUILAB among Indian Muslim society……….both with Islamic and contemporary subject of studies. But one of the worst educational status in India is of Indian muslims especially Muslim girls. Who is responsible for all this? People like Zakir made it possible to make the teachings of Islam accessible to all.They provide a platform where you can raise a question , discuss etc. They indirectly inculcate in them a sense of how important is it to learn how to read. And finally Shahid Latif sahib:- If I came across in my life so-much-hyped-talibani-type-of-people, I have the guts to question these people about their acts/deeds/beliefs in the light of the Quran and Sunnath. I don't fear such types . I fear a cowardly, mis-guided, deviated life and always Hope for the best from Allah. mr. aimen reyaz saheb............I am not into hero -worship.so being a fan of Zakir Naik is less important for me than being the supporter of what is said according to the QURAN and the Hadith............without any personal agenda mixed with it.In present day scenario Zakir Naik is just explaining the teachings of Islam.if you have any querry/miss understanding, you must ask him for explanation because your personal belief,liking and dis-likings can never be a part of Islam unless it is judged right and authentic as per the teachings of Islam. THE STRENGHT ( for people like u MISTAKE ) IS THAT ZAKIR IS NOT A DIPLOMATIC PERSON;HE IS STRAIGHT FORWARD WITH HIS CHOICE OF WORDS.THOUGH I ALSO HAVE SOME QUERRIES ABOUT HIS EXPLANATION BUT I THOUGHT IT IS BETTER TO ASK HIM DIRECTLY ABOUT THEM. Allah never says in the Quran this (AS YOU QUOTED) :- "Allah says that even Christians and Jews can go to heaven? No and never. all true disciples of all the prophets from Hazrath Adam to Hazrath Muhammad (pbuh) will go to heaven.Hazrath EISA (JESUS ) didnt preached Christianity,Trinity and he never claimed that he is God himself or the son of God.Christianity was the brain child of Saint Paul.Similarly no prophet preached Jewish religion.They all showed the only path of Allah................say ISLAM , although the shariat was different under different Prophets.....not the basics.They all told their followers about the coming of last prophet Hazrath Muhammad and commanded their disciples if you found HIM (Hazrath Muhammad) follow His shariath. you question about product and marketing.Beacause the religion of chritianity and jewish (zionism) are now beyond repair.How..?. i want to quote a simple INCIDENCE.According to the quran When, after the birth of Jesus, people came to know the matter, they suspected Mary. Mary, knowing full well that it was useless telling them that her son was born miraculously without a father, and knowing that her son was not an ordinary one but a messenger of God, only pointed to the baby, and immediately Jesus started speaking in support of his mother's chastity and to the fact that he was sent by God to the people of Israel to call them to the right path..........The early disciples of Hazrath Eisa (Jesus...PBUH) bore witness to this.But this gave the Jews.......... a chance to spread hatred,mockery agianst and dis-figure the Prophet and His Mother (marry/mariam:---PBUH) with only one question:- A person born without a father? It was a complete character assasination of Mother Mariam (mary....PBUH). To counter this, people like St. paul and St. Peter cooked a story that Hazrath Eisa was the son of God.....Mother Mary was concieved by God.The quran rejects this:-The Qur'an denies the deity of Christ: Surah Al-Maeda: 17: In blasphemy indeed are those that say that Allah is Christ the son of Mary. Say: "Who then hath the least power against Allah, if His will were to destroy Christ the son of Mary, his mother, and all every - one that is on the earth? For to Allah belongeth the dominion of the heavens and the earth, and all that is between. He createth what He pleaseth. For Allah hath power over all things." 72: They do blaspheme who say: "Allah is Christ the son of Mary." But said Christ: "O Children of Israel! worship Allah, my Lord and your Lord." Whoever joins other gods with Allah,- Allah will forbid him the garden, and the Fire will be his abode. There will for the wrong-doers be no one to help. 75: Christ the son of Mary was no more than a messenger; many were the messengers that passed away before him. His mother was a woman of truth. They had both to eat their (daily) food. See how Allah doth make His signs clear to them; yet see in what ways they are deluded away from the truth! so these people dare to be so ungrateful and cruel to Mary and Jesus (pbuh) so what would be the outcome of the present day teachings and products of christian literature. NOW THE MOST INTERESTING QUESTION If you do not support (Mr. Sultan Shahin's views. (Please refer to:Indian Ulema have no time to lose, must call warlike Quranic surahs obsolete) it then why don't you " Kill a kafir wherever you find him"?Mr aymen :-- JIHAD cannot be taken for granted.Jihad is not described in the Quran in a bad sense and in brutal context. It is the half-cooked self-styled champions of ISLAM who misinterpret it and bring bad name to Islamic teachings. Jihad doesn’t mean to wage war against anybody without perfect rhyme or reason and establish state of anarchy, it doesn’t mean to kill innocent life, and it doesn’t mean to spread hatred. If you deviate and misinterpret the teaching of Islam, it is not the mistake and folly of the Quran.teachings of jihad doesnt allow anyone to take arm and kill anyone. 1.then why the christians fought two world wars?2.Do you know the reality of US ( christians) war crimes in Vietnam?3. Do you know how we indians suffered at the hands of The British (christians)?4. when Granada was conquered in 1492, locals mostly Muslims were permitted to continue practicing their religion. But in the 17th century, with King Felipe II they were forced to became christians.Do you know this? 5. Can you answer the Spanish Inquisition in which Christians "persecuted Muslims and Jews tortured and burned them at the stake?6.do you refer the wikileaks documnets that reveal how the christian governemnts sexed-up the WMDs theory of Saddam Hussain and finally destroyed a country and a civilization and expanded their empire?7.do you have the guts to ask a Zionist why the Palestinians are homeless in their own homeland? To any rational person, such funny fatwas and futile discussions provide a good material for entertainment. However, these have a very negative impact on large sections of the masses who are religious and God fearing. Instead of trivialising the issue, we must try that a common man does not get adversely affected by such actions of a few ill-educated or, over-educated individuals. Zakir Naik said: Christianity, product 0; marketing 100%. Islam product 100; marketing 0." If Christianity's product is "0" then why does he quote from the Bible, and why Allah says that even Christians and Jews can go to heaven? If you do not support it then why don't you " Kill a kafir wherever you find him"? I am not disregarding the Quranic teachings but I am trying to bring compatibility between the 1400 years old verses and today's life. 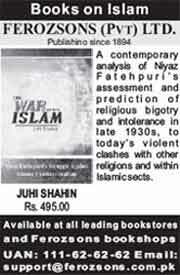 shahid iqbal you would like to have a fatwa pronounced against Mr. Sultan Shahin. You may or may not have a case against him. I am not qualified to go into that. But are you aware that like all other Muslims you too are already under a fatwa, regardless of what sect you belong to or whatever your views. The fatwa-manufacturing factories of Islam, incidentally a term I learnt on this site some time ago, are active against every one. You just have to be a Muslim of some sort to be declared a Kafir by one sect or the other. So whether or not Mr. Shahin is facing a specific fatwa against him, like you and all of us Muslims, he is already under fatwa of kufr. God forbid the day Taliban are free from their present obsession of capturing Pakistan; once they turn to India, we Indian Muslims, all of us, regardless of our views, will be wajibul qatl (fit for being killed). Did you see the BBC interview today of the Talib who killed scores of Muslims in a Bank inPeshawar. He said he relished killing all these so-called Muslims as he had been told that they were all infidels. 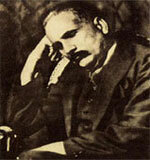 So Mr Iqbal, worry about yourself before you worry about people like Mr. Sultan Shahin or M. J. Akbar. We are all under the Jihadi sword.